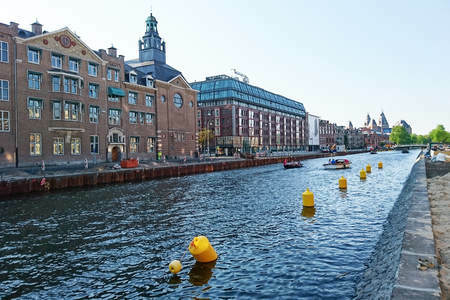 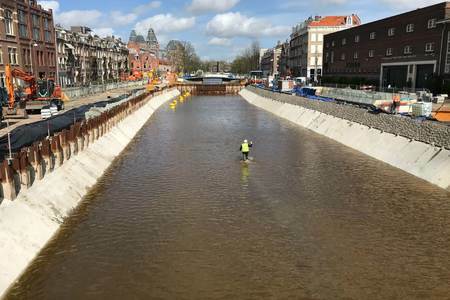 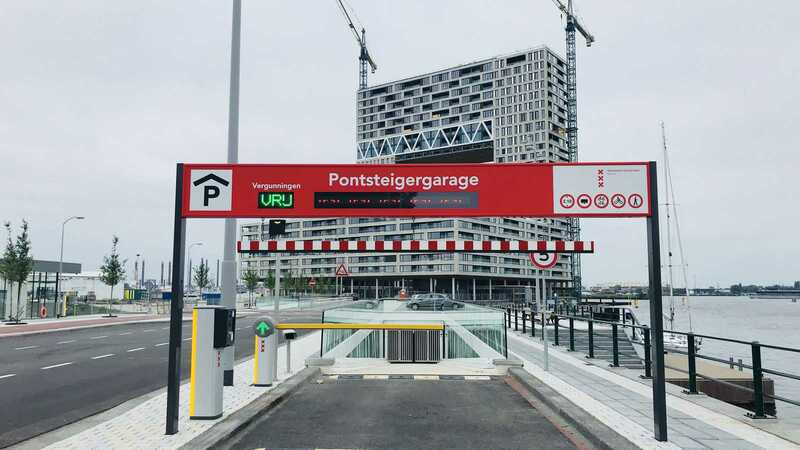 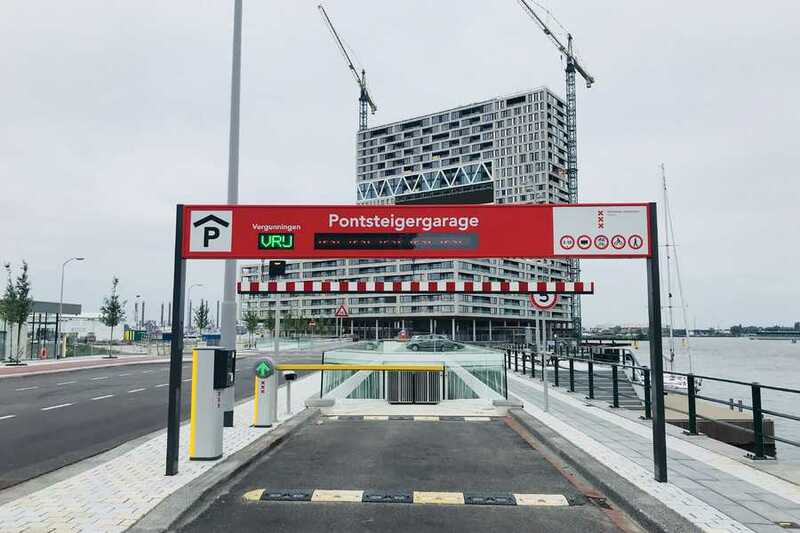 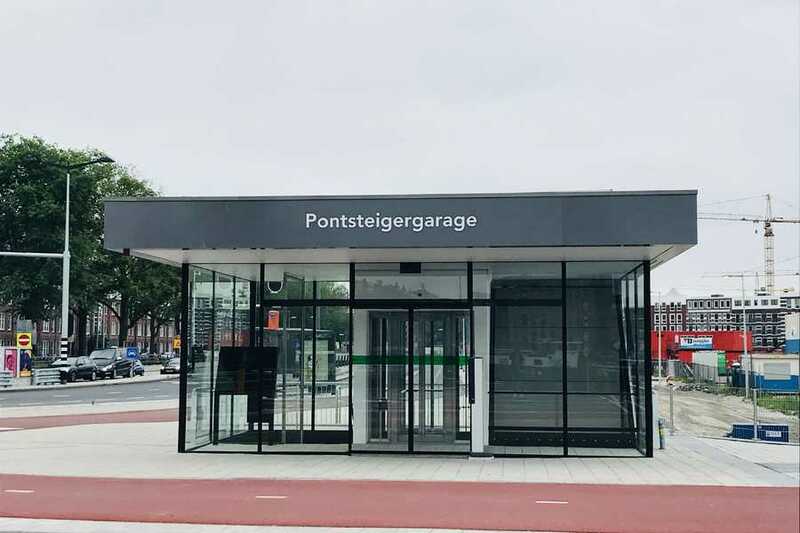 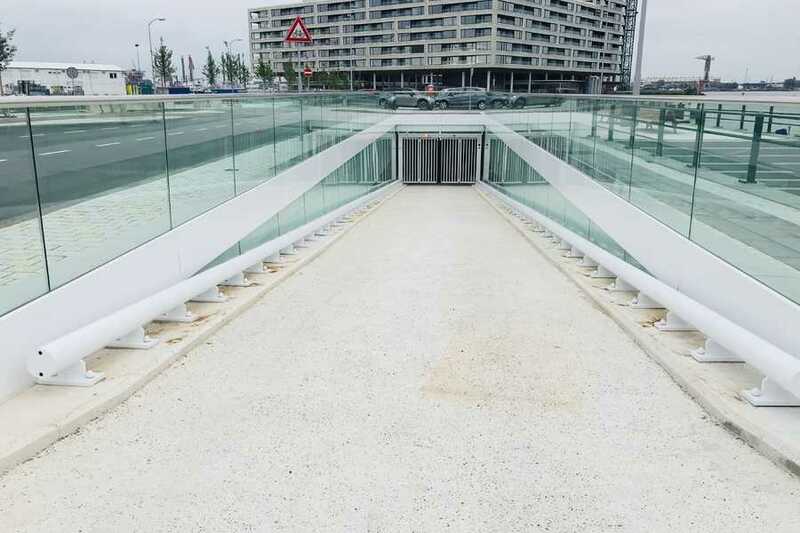 The new Pontsteiger parking garage in Amsterdam, right under the pier that connects with the Pontsteiger building, has been opened. 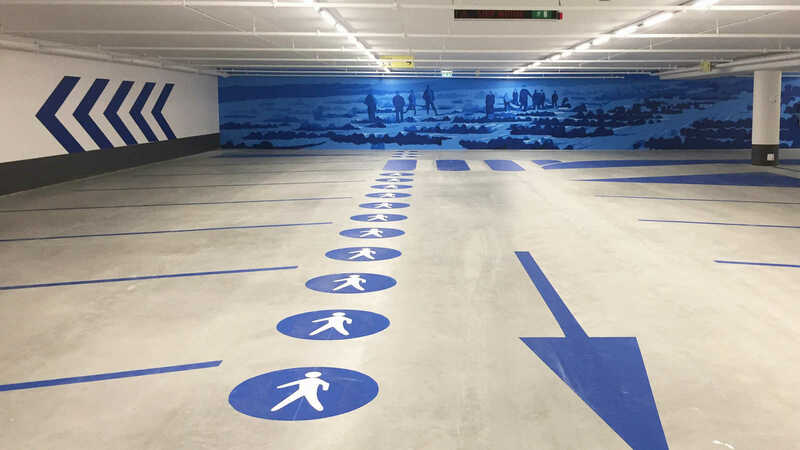 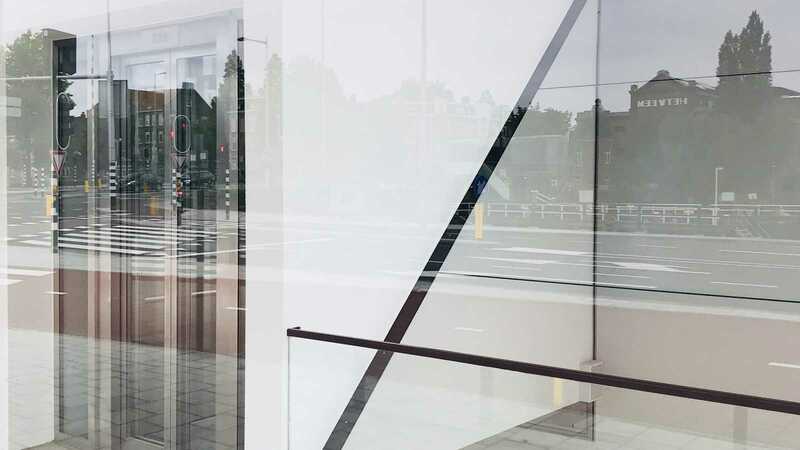 ZJA Zwarts & Jansma Architects designed the spacious and light parking garage at the Houthavens in collaboration with Arons and Gelauff Architects. 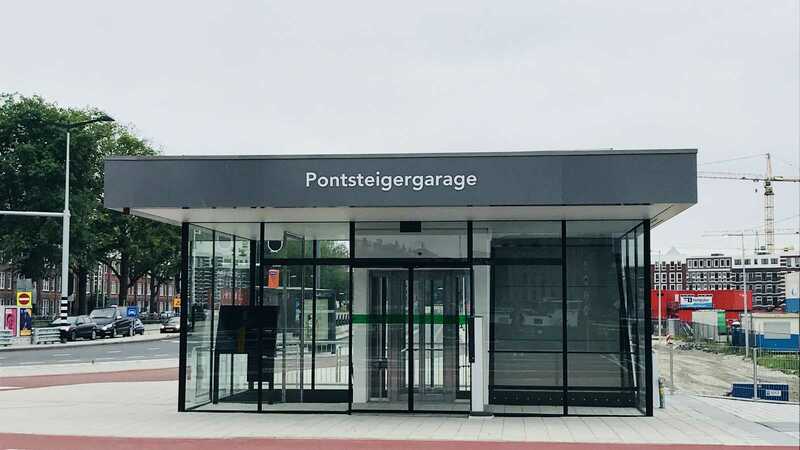 A special feature of the Pontsteiger parking garage are the mirrors in the stairwell of the entrance buildings that function like a periscope. 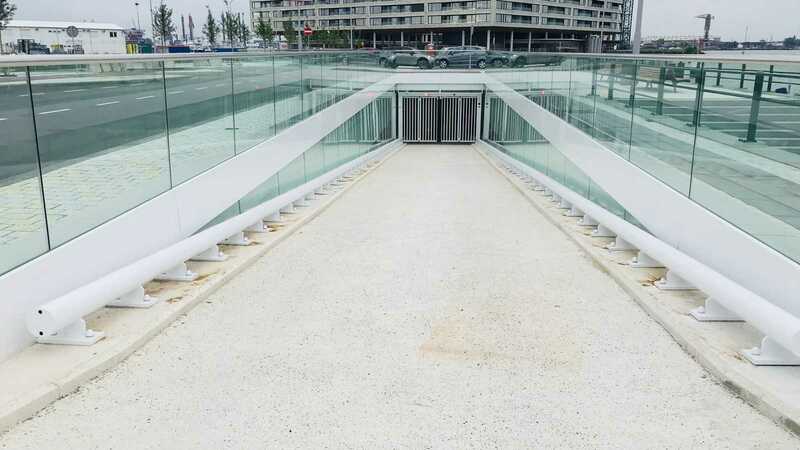 This allows visitors to have a look inside as well as outside. 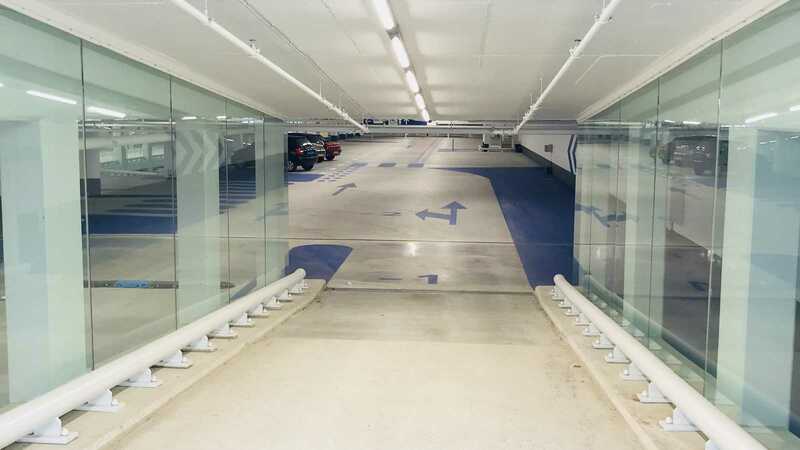 In addition, this allows extra daylight to enter the parking garage. 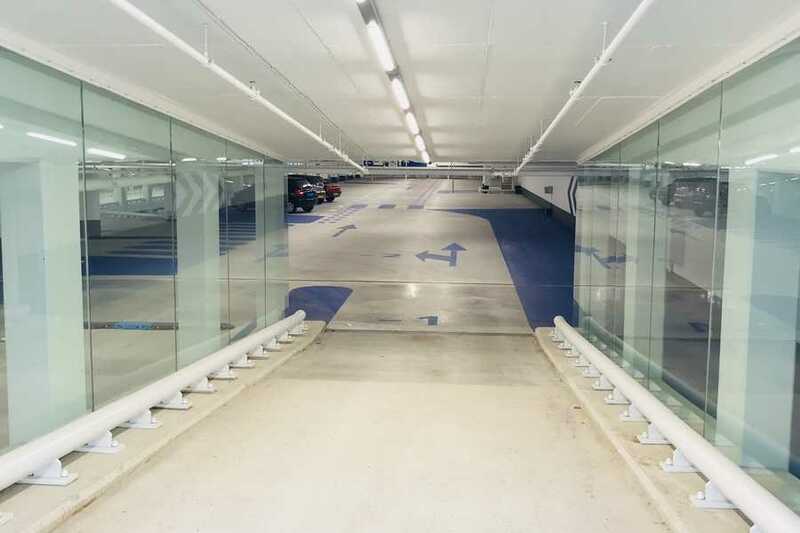 In the middle of the parking garage there is one row of columns, giving motorists a clear overview. 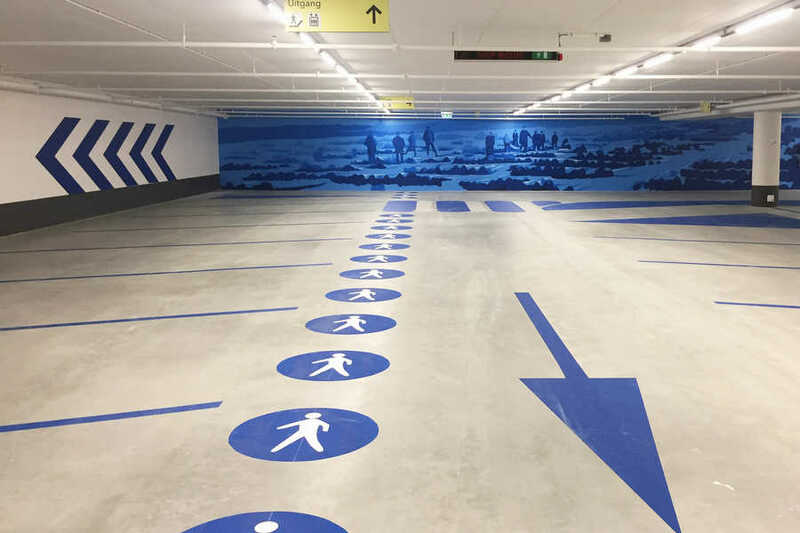 The way-finding in the Pontsteiger parking garage is signal blue. 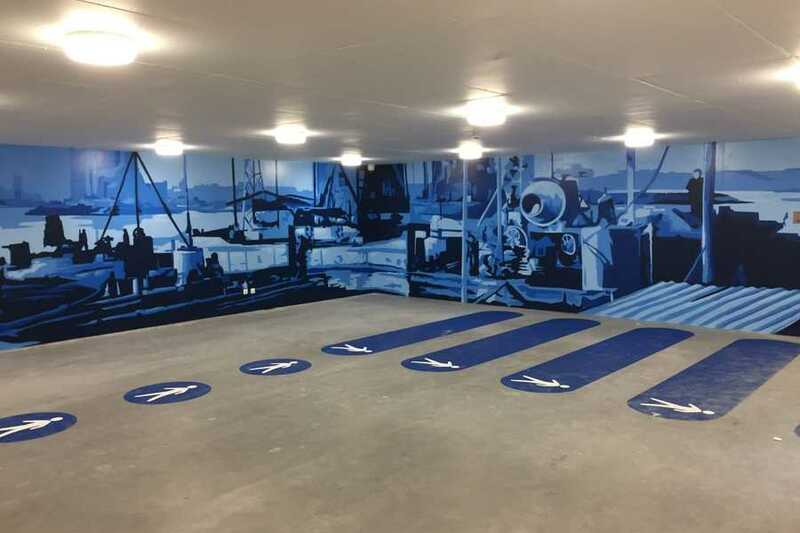 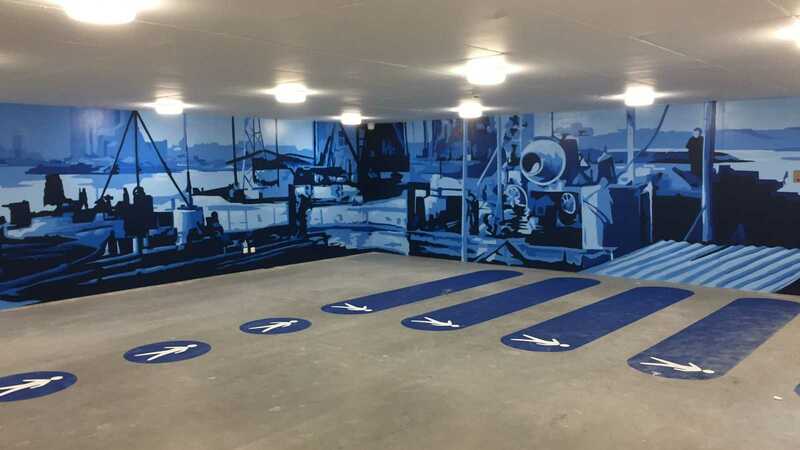 Particularly noteworthy are the two large wall paintings in the parking garage in the same colour blue. 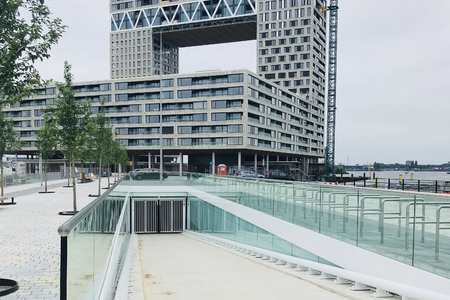 One gives an impression of the original function of the Houthavens; the loading of wood. 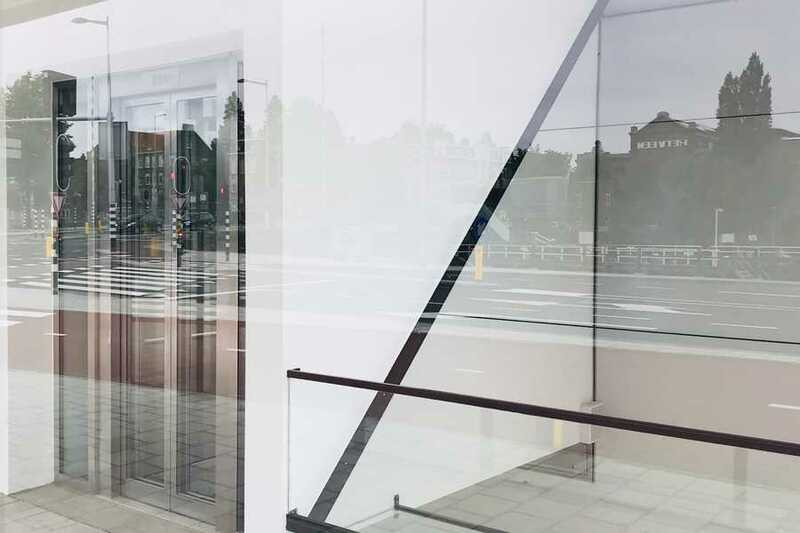 The other one shows the architecture of the Amsterdam School, as can be found in the Spaarndammer neighbourhood.